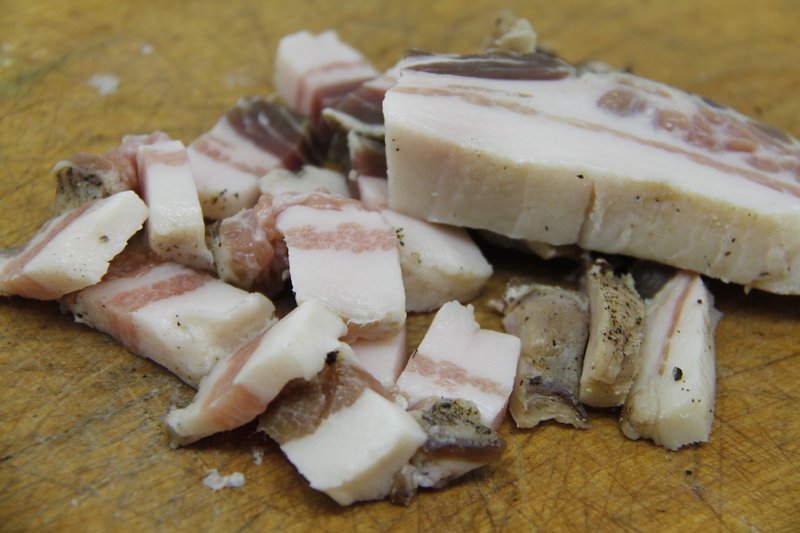 Back on the 1st November I started to make some Guanciale. 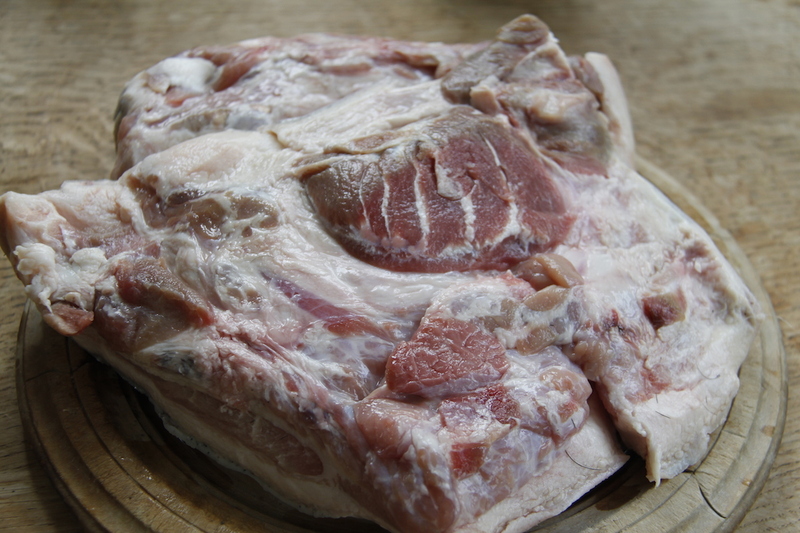 I took two cheeks from our large black pig and put it in a salt and pepper cure for 11.5 days. Guanciale I used the recipe from Lamb Curing and Smoking (182) but it isn’t really clear whether he means you to use 3% or 30% in salt to the cheeks’ weight. I used 30% to be on the safe side. The cheeks were 1.9kg so I used 525g of salt and 110g cracked pepper. I mixed the cure together and then put it with the cheeks in a plastic bag and left it in the fridge, massaging it regularly to distribute the cure for 11.5 days. After this I rinsed the cheeks in water, dried them and hung them in my gamesafe to air dry. I left them there for 4 weeks. I then tasted – delicious, but a little salty. I need to check some other recipes to work out the required proportion of salt to meat. 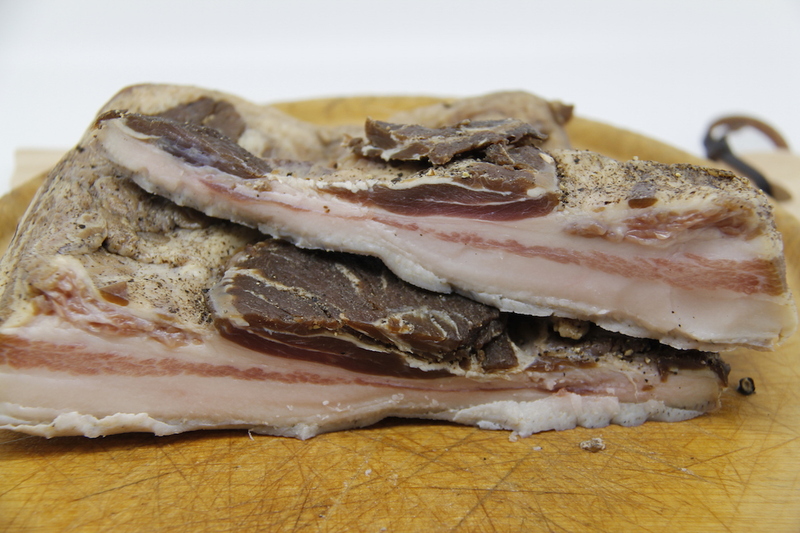 Fry the guanciale until it is crispy. I fried mine in a little lard. Try not to eat all of it out of the pan – this is why you need to fry up a bit more than you actually need – Mario says 4 oz for two people, but I know that I will have to keep testing it so fried up 6oz!). Cook your spaghetti. Take a little bit of the pasta cooking water and add to the guanciale (1/8 cup maybe 1 tbs). Add the pasta to the pan with the guanciale, and stir, then add the egg whites and stir – you pan should not be on the heat at this point. Add most of the parmesan and stir. 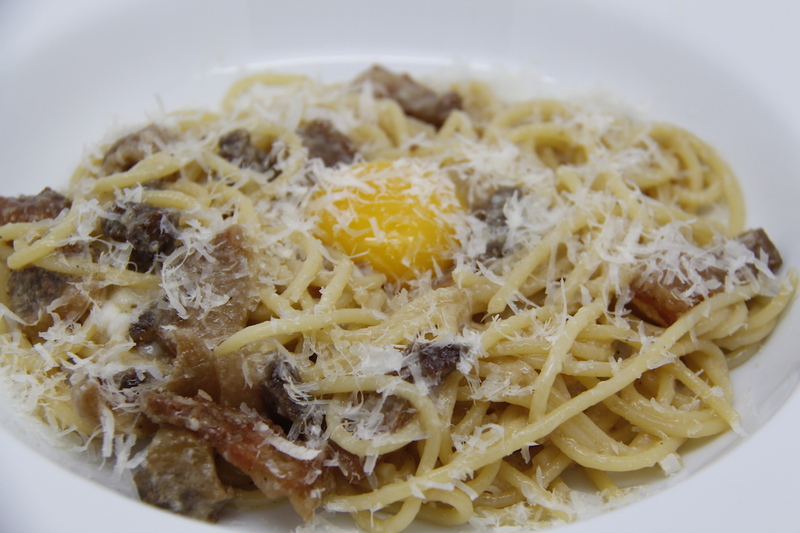 Put the pasta in bowls and make a little nest for the egg yolk. Pop the egg yolk in, sprinkle over some more parmesan and grind some pepper on top – serve – you stir the egg yolk into the pasta yourself. It was very very nice. 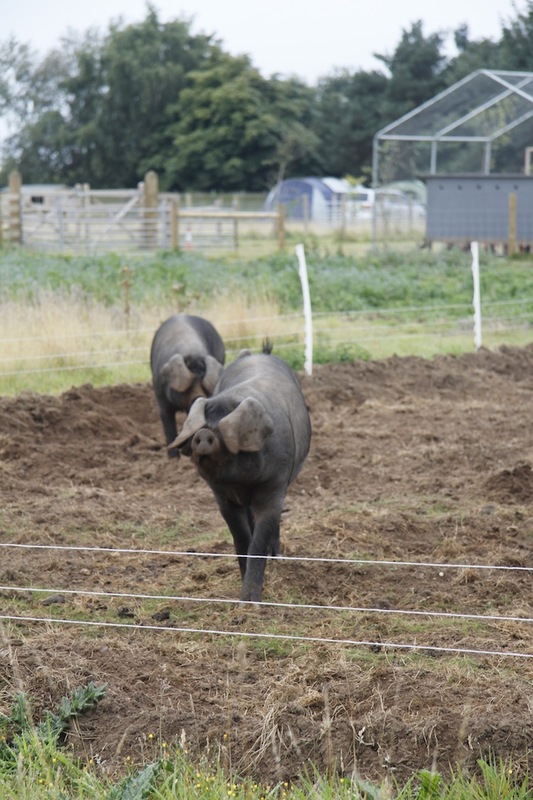 I will be making this again …..